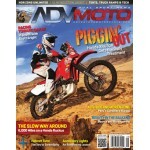 The ADVMoto app is also available on Apple and Android marketplaces by searching "Adventure Motorcycle." 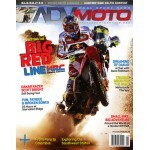 Yearly digital subscription packages start at 12USD per year (6 issues) and offer fantastic value for money. 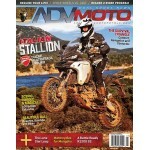 Check out what makes ADVMoto the number one adventure riding magazine around the world at AdventureMotorcycle.com." 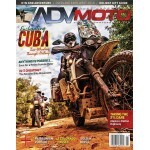 Features: Two Wheeled Nomad: Slices of Life from the Road, All Aboard the Ferry Xpress, Jimmy Lewis Riding Off-Road Riding School, Ride Reports: Pan American Odyssey, Tajikistan's Pamir Highway, Traveling North America, and more! 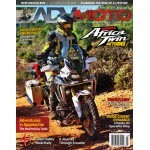 Wine and Dine Rally, The Pavey Dakar Duo, Oh Colorado, A Seriously Southern Ride Out, Klim Overland and REV'IT! 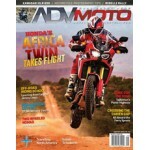 Dominator Suit Reviews, The New Multistrada 1200S and more! East Coast Rally Round Up, Project KTM 690,Bandits On Ice, Around Gaia, Amphibious Motobag 2, Big Agnes Rattlesnake SL2 mtnGLO tent, and more! 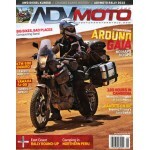 Built for Adventure: 2016 Ducati Multistrada 1200 Enduro, Battle Ready: BMW R1200 GS, The Survival Triangle: 3 elements of safe and successful adventure riding, Exploring British Columbia, The Lone Star Loop, Beautiful Bali, A Rally for Rangers: Motorcycles for Mongolia, and more! Baja Rally Honda XR650, Q&A with Helge Pedersen, Beauty in the Balkans, The Slow Way Around, Arai XD4 Helmet Review, and more!